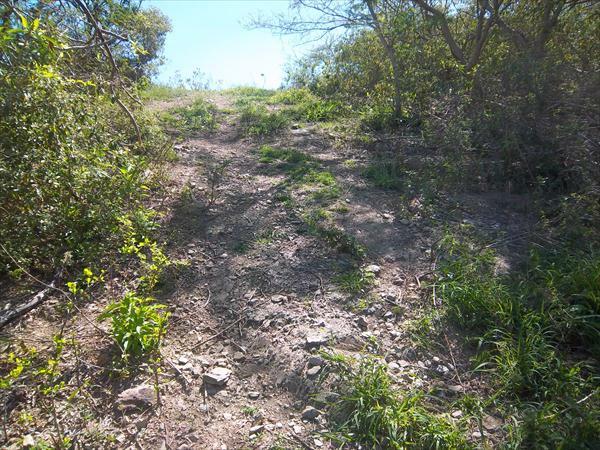 The short walk up the hill from the National Guard Training Center at Hams Bluff should be a major attraction for visitors and a mandatory coming of age for every student in our local schools. 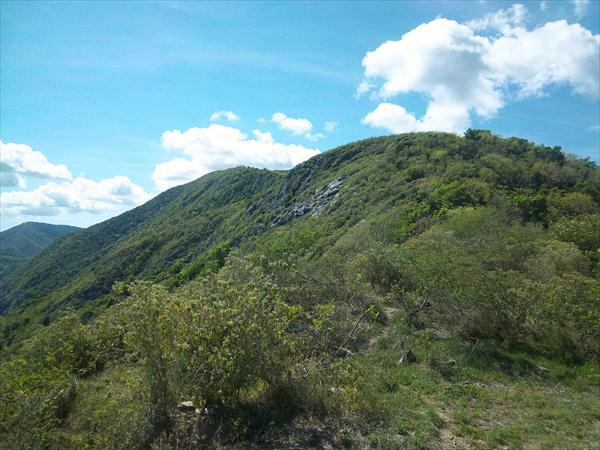 The area is rich in both natural beauty and Crucian history. It was formed at the same time as Et Stykke Land (100 million years ago) but while much of the history of human occupancy of the very East End is lost, the History of Maroon Ridge lives in infamy. The walk to the peak of the west end of Maroon Ridge starts out easy enough but the hill gets a little steep near the top. 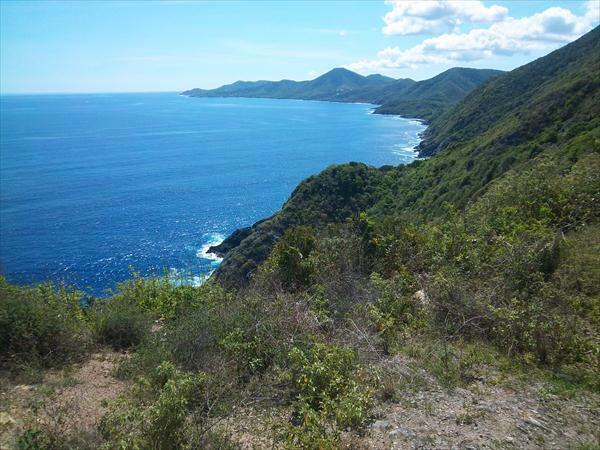 When you reach your destination, you get a view of all the other Virgin Islands to the North and the last time I was there, it was so clear you could see Vieques and even the hills of Puerto Rico to the west. The Lighthouse is like an aging queen with a great amount of dignity but showing the stress of getting old. There are several groups who recognize the need to take preservation action almost immediately, but I am not terribly sure they are coordinated or that they all prioritize the need in the same manner. One group who seems to have it as a major priority is Save the Hams Bluff Lighthouse which has both a website and facebook page. These web sites are good for historical details of the lighthouse and a document from the National Park Service gives additional information but be careful of the NPS report, it is flawed at one point by giving the wrong year for Hurricane Hugo so I would question the other facts as well. The Park Service document is still worth looking at because it includes the details of the site plan, keepers area and operations. For me, a far a more important article by Lomarsh Roopnarine covers the historical analysis of the Maroon Community at Hams Bluff which the Danes referred to as Maroonberg. According to him and other authors, the Danes operated a particularly brutal form of slavery and runaway slaves were severely and publicly tortured. If recaptured, death was a certainty and it might include up to 9 days of brutal torture. Moreover, once a slave ran away, there was very little long term chance of not being uncovered by the Danes periodic roundups. This left suicide and high risk flight to Puerto Rico as the only real options. Reports during the Danish period indicated that the Danes were aware of runaways and even named the Northwest quadrant of St. Croix, Maroon Ridge or Maroonberg. A Maroon community was located in the North Shore or the North Ridge region of St. Croix and escaped slaves used this area as a gateway to Puerto Rico. 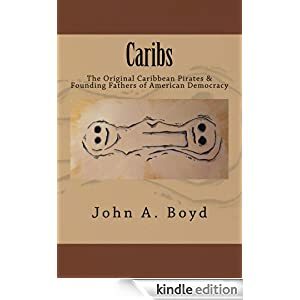 The population census of 1791 shows 953 freed Africans; 12,096 African slaves; and 1,385 runaways, for a total of 14,434 Africans on St. Croix. So during this census period over 10 percent of all slaves had run away and were on their way to join the community at Maroon Ridge or traveling to Puerto Rico. In most slave communities, the Maroons survived by living in caves, swamps or impassable mountains. Because of the small size of the island and the aggressive pursuit by the Danes, permanent residency at Maroonberg was not an attractive option so the former Crucian Slaves developed their own form of freedom and became “Maritime Maroons.” It seems for the first half of the Danish slave period, the Spanish in Puerto Rico were in desperate need of manpower and military intelligence. 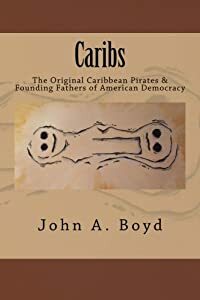 So they promoted the Maritime Maroons in many ways including setting them partially free after one year of service, employing them in the militia, giving them land to farm and if they converted to Catholicism, complete freedom. Of the thousands who fled the plantation in search of freedom, most would have passed through Maroon Ridge, some were recaptured and tortured by the Danes, even more committed suicide rather that face recapture and of those who became Maritime Maroons, more perished in the treacherous sea in their small boats. Three hundred intrepid souls made it to freedom in Puerto Rico. Hopefully, more undocumented Maroons made it to the West end of Puerto Rico and hooked up with the Puerto Rican Maroon community, but there is no documentation to support either permanent residency at Maroonberg or direct contact of the St. Croix Maroons with the Puerto Rican Maroons in Western Puerto Rico. The very least we should do is to have a marker in this area identifying the people and telling their story. 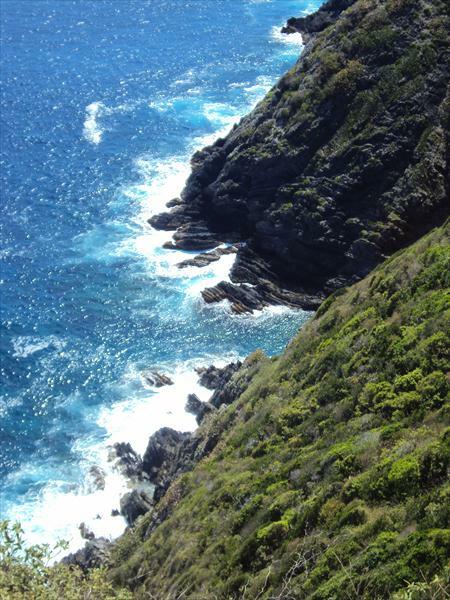 I have been hiking the hills and beaches of St. Croix Virgin Islands for over 30 years and in retirement have decided to become a Heritage Hiking Guide specializing in the local history, geology, settlers, plant life and environmental changes by all settlers of the last 2000 years but just along the trails I hike. 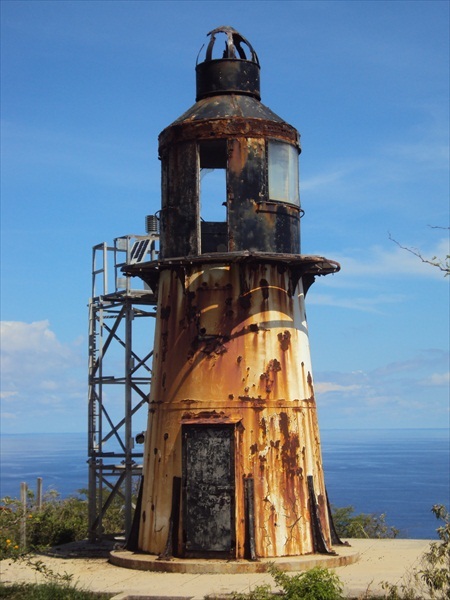 This entry was posted in Hams Bluff, Lighthouse, Maroon Ridge, Maroonberg, Uncategorized and tagged St. Croix Hiking, St. Croix History, St. Croix Vacation. Bookmark the permalink. I am an educator on St. Croix who als have spent the last thirteen years teaching my students about ecology, hertiage and geography. I know that it’s very important that my students leave the classroom and explore their natural and historical environment.